Peter England’s Factory Outlet in JP Nagar is where you need to head to if you are looking to update your wardrobe with some formal wear. Discounts start at 25 per cent and above. For many folks, Peter England is where our dads took us to when we wanted to buy our first pair of formal trousers and a shirt. Fast forward a couple of years and in the age of faded jeans and graphic tees, the need for formal wear still stands big. Enter this JP Nagar outlet’s discounted sale on shirts and trousers. The offers are quite simple and straightforward. If you are buying just a single shirt or a pair of trousers, you get 25 per cent off. But if you are buying two shirts or trousers, you get to pick two shirts or trousers free. Awesome, right? There’s also Buy Three Get Three offer as well. Oh, and the offer extends to t-shirts and jeans as well. No one’s asking you to ditch faded jeans for formals yet. The collection is hardly the latest, but then again, who really cares as long as you are getting a slim fit trouser at 25 per cent off, right? In shirts, checks are predominant with a selection of solid colours, stripes, and a few weird patterns. 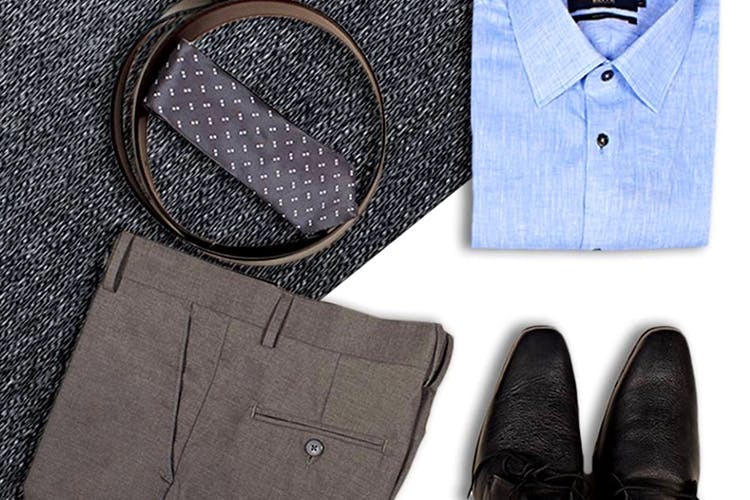 Trousers follow the usual colour pattern of khakis, navy blues, blacks, and greys. In jeans, you get regular fits and slim fits. Accessories such as tie and belt are on sale too. Also, guys, jackets, winter wear, suits, and blazers are available at 50 per cent off too. Winter is coming, so why not shop early, right?